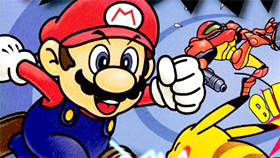 Mario Islands is an action game developed by DUCK ARCADE. This game has simple graphics, suitable for all ages. You can experience this game on your browser because it is a flash game. 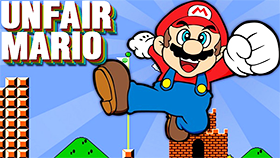 In this game you will be choosing Mario or Luigi to play. You will enter a new adventure in a mysterious island. Your task is to kill enemies, collect gold coins and run as far as you can. The longer you run, the harder the game will be. Obstacles and terrain will become more complex. So, you need to concentrate to overcome all the challenges that the game brings you. The interesting point in this game is that the game screen will move continuously, from left to right. So, you have to follow the game screen. This is also a challenge for you. You will meet Spinys, Goombas, Petey Piranhas in this island.